Every once in a while there is a new form of art that intrigues the mind. Something that makes you think, search for a deeper level, but is simple enough to look at and enjoy. The types of artists who are able to create works such as these are not common, it’s what makes their work so valuable. Lucas Zimmermann is one of these artists. 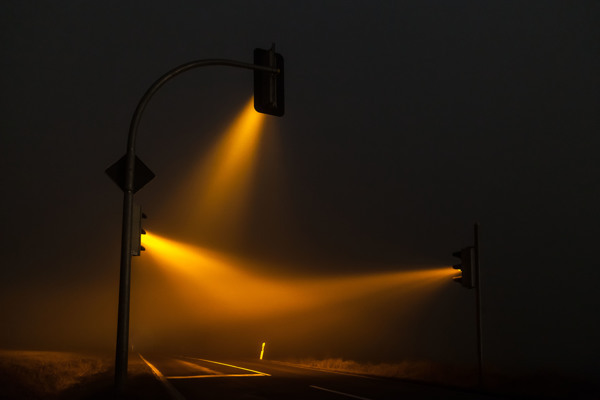 Lucas Zimmermann is a photographer, his simple yet elegant work is new, bold, and leaves a lot of room to interpret. 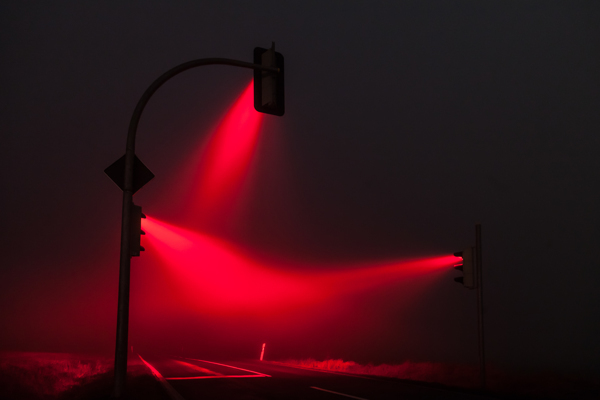 Take for instance these photos of traffic lights. 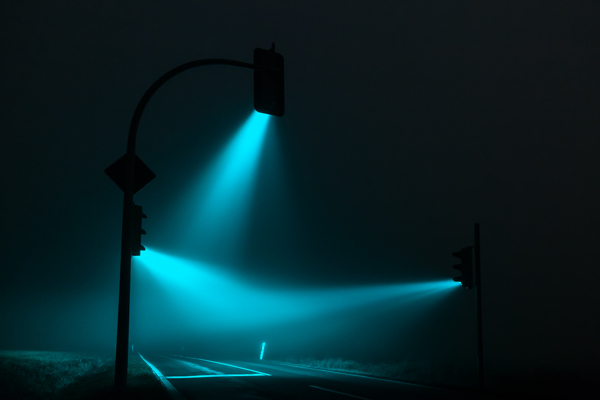 These traffic lights in Weimer Germany may have seemed like ordinary traffic lights to anyone else in the area, but Lucas Zimmermann was able to take something ordinary and turn it into extraordinary. 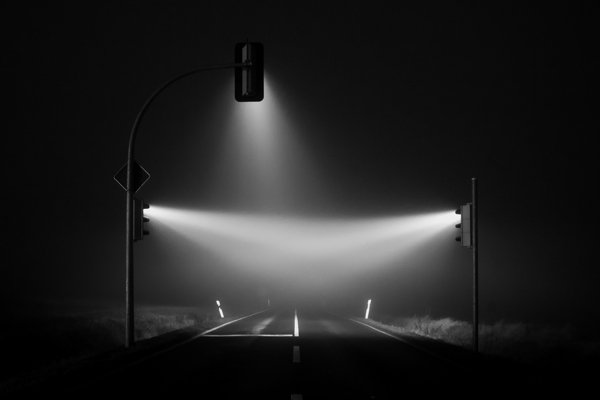 Taking these photos on a foggy day, and with some creative graphic design, Lucas Zimmermann has created some outstanding photos. Take a moment and look at these photos. Decide for yourself, what do you interpret? What do you like about them? What do you think Lucas Zimmermann is trying to portray? Feel free to ask your coworkers and friends, I believe that you will find that almost everyone has a different answer. After all, the best art will always contain many layers of meaning. Next Article Does This Make Me Look Fat? These photos are really great. And it’s even cooler how the different colors are able to give various emotions.